I provide assessment and testing services to children, adolescents and adults. The testing process is tailored to answer your questions and is focused on your needs. It is highly individualized and varies according to clients’ areas of concern or curiosity. If you are interested in learning more about this process, contact me. Psychological testing is often used to assess a diagnosis or a difficulty, which can be helpful when applying for accommodations in school or work. 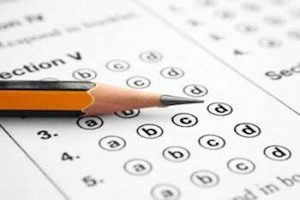 It is also required in the application for special considerations on standardized exams as the SAT, ACT, MCAT, GRE, LSAT and GMAT. Executive Functioning: EF assessment evaluates self-regulation, problem solving, organization, inhibition, level of activity, planning, capacity for meta-cognition (self-awareness), and working memory. Additional forms of assessments are Behavioral, these evaluate treatment compliance, behavior in the class room or other settings, aggression, attention, organic impairment and risk. Behavioral assessments are often used as a complimentary tool when assessing IQ, achievement, and executive functioning. Neuropsychological Testing: evaluates neurodevelopmental conditions such as ADHD, Autism, concussion, and learning disorders. Neuropsych testing allows a more detailed understanding of the neurological processes involved with language, attention, visual-spatial functioning, memory and executive functioning.